Cubic zirconia vs diamond ! In the 22 years that I have spent working in my jewellery shops I have lost count of the times that I have been approached by customers (mostly women) who wanted to find out whether that sparkling stone was a cubic zirconia or a diamond. Its not hard to learn how to tell the difference between a cubic zirconia and a diamond, so that you don't get conned the next time you go shopping. This is a pretty easy and reliable test to perform. Put the stone near your mouth and breathe warm air into it. Since a real diamond is not capable of holding heat , if the stone clears up immediately its a diamond and if it takes some time then its most probably a cubic zirconia. Just looking at the stone with the naked eye , a cz is pure white, while a diamond has a off white tone ( a tinge of yellow ,brown or bluish to some extent) to it. To find a colourless diamond (grade D) is very rare indeed. Real diamonds are cut, producing facets on the inside. Because of the many lines, seeing through a real diamond is near impossible. Place a piece of newspaper below the stone. If the print is readable the stone is a cubic zirconia but if not, the stone is a diamond. Diamonds are known to be the hardest natural substance on earth. Apart from the very popular saying "diamonds are a girl's best friend" there is another one which says "diamonds are for life". They are rated 10 out of 10 on the Mohs scale of hardness compared to a 8.5 of a cz. 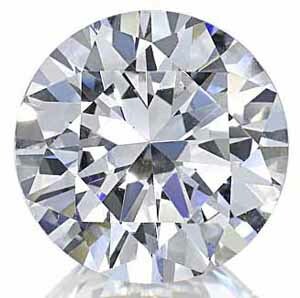 Cz's are more prone to wear and tear and chip away more easily than a diamond. A diamond weighs as much as 50% less than a cubic zirconia stone would weigh. . Using a gram scale, the stone could be weighed against a confirmed diamond and the weight would show the stone to be real or fake. Obviously, the two stones should be the same carat to get the best results. Cubic Zirconia's Biggest Enemy : Heat! A cubic zirconia cannot withstand the same amount of heat that a diamond can endure. That means that while sizing a ring with cubic zirconias , we do have to be careful since the heat torch can easily shatter the cz to pieces. 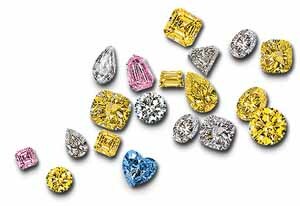 On the other hand diamonds are the best conductors of heat and hence very easy to size also. While looking through the loop at a cz or a diamond you will notice the difference between their facets. In a cubic zirconia the edges of the cut where the facets meet will be smooth and rounded off while in a diamond they will be very sharp and clean. Always remember this rule! Diamonds have flaws while CZ's are flawless. 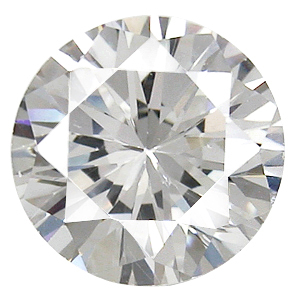 If looking through the loupe you don't see any flaws or "inclusions" (natural features found in a diamond) then the stone is most probably a Cz as they are too clean. The quickest way to test whether the stone is a diamond or not is with the diamond tester. Nowadays most of us jewellers have one. Just make sure that the stone is clean and that the tip of the tester does not touch the metallic parts of the jewellery. The good thing about this tecnology is that its useful for very small stones, whereas before this invention it was quite complicated to test the small stones with the loupe. Go to crystal jewellery page from cubic zirconia vs diamond page. Go to cubic zirconia history page. Go to cubic zirconia jewelery . Copyright 2007-2012 jewelleryxy.com. All rights reserved.